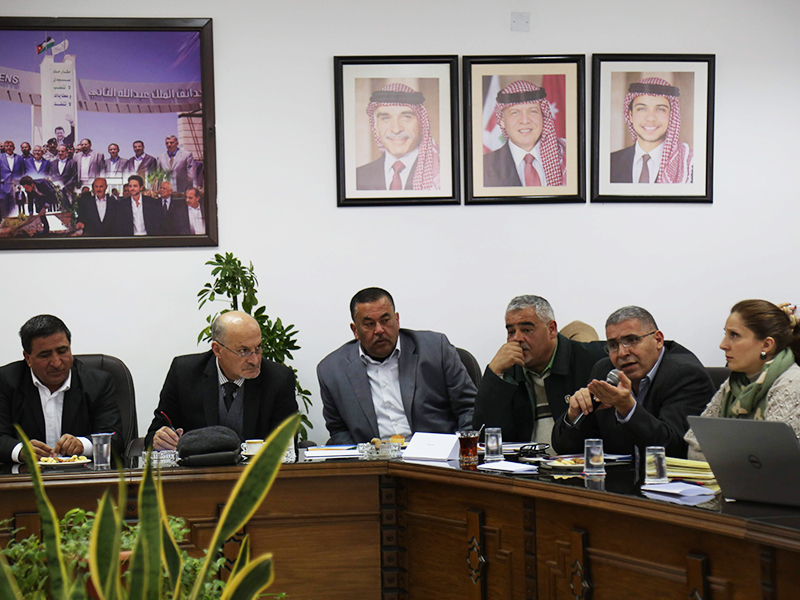 On Saturday, January 19, 2019, the German Jordanian University (GJU) and the Greater Irbid Municipality held a meeting to discuss the detailed studies and engineering plans that were prepared by GJU for the new Central Vegetable and Fruits Market Project in Irbid. The municipality purchased a 360 Acres land at the cost of more than five million Jordanian Dinars, to establish a market for agricultural products in the area of Al- Na’ima to be a regional market. Mayor Hussein Bani Hani said that the project is a priority for the municipality, mentioning that the project will upgrade the services in general, provide investment returns in support of the municipality’s income, and improve its budget. For his part, Professor of Architecture at GJU and Director of the project, Dr. Raed Al- Tall said, the idea of establishing a new market is to develop the whole surrounding area, adding that the project aims to provide agricultural products to the Jordanian and nearby regional markets. He explained that the market would include vital facilities to sort, scale vegetables and to display agricultural products, in addition to the stores for fertilizers, medicines, and pesticides. Al- Tall added that the new location would include parking areas and stations for waste sorting. He revealed that there is a scheme for the use and generate alternative energy and electronic monitoring systems for weighing vehicles and vegetables. 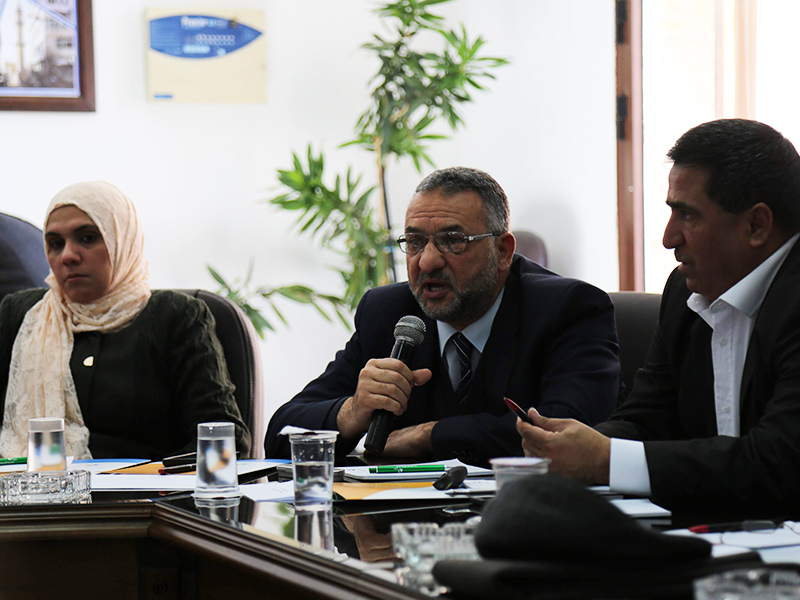 Al-Tal predicted that the market would be a typical field of competence with the ability to meet the needs of the North region in general and contribute on the development side, which will have a positive impact on the areas south of Irbid, especially the Bani Obaid Brigade.